Bi-Fuel is a great option for healthcare facilities because it provides the best of both worlds. You meet the on-site fuel requirements of NEC 700 and NFPA 110 because you have a diesel storage tank, but obtain the benefits of longer runtimes as the generator transitions to natural gas under load. South Shore Generator offers fully integrated solutions that are the only EPA-compliant generators straight from the factory in both the 500 kW and 600 kW nodes. These units can also be paralleled to create even larger kW requirements. You can also combine generators using a variety of fuels such as diesel and natural gas. This not only gives you the benefits of genset redundancy, but now you have fuel redundancy as well. This approach does not require dedicated switchgear sections. Future expansion generators simply tie directly to the generator bus. Because the paralleling is already built into our generators, the MPS system fundamentally has greater flexibility for growth, requires less electrical room space, and reduces initial capital cost. Whether it be multiple generators in parallel, or a large single engine generator, We have the product solution to meet your requirements. In addition, administrators, facility managers, and specifiers may need to meet state and municipal codes for the location of generators and minimum generator runtime standards. For example, emergency generators need to be protected from floods, earthquakes, and fire, so those requirements typically rule out most basement and rooftop placements. Next week, find out more about " Natural Gas or Bi-Fuel Generators for Healthcare". Many communities are turning to light rail systems to provide more efficient ways for citizens to access downtown areas while at the same time helping to reduce emissions and parking challenges. Since light rail trains typically cross many busy intersections, during an outage, it’s vital crossing signals continue to function to help prevent dangerous accidents. 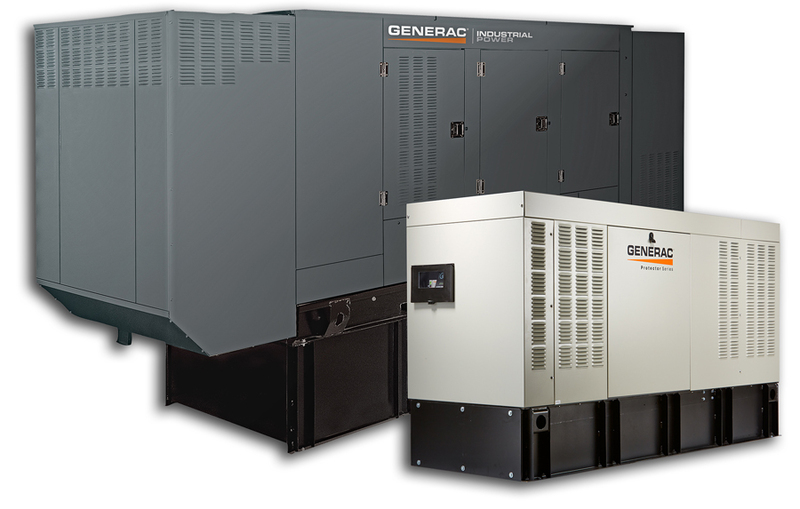 Generac's technological advances in natural gas generators have earned us awards from Frost and Sullivan as “The Natural Gas Generator Company of the Year”. In addition, the 500 kW natural gas generator recently earned a Silver Award from the readers of Consulting-Specifying Engineer magazine. When the KD Series large diesel industrial generators were unveiled in October of 2016, KOHLER and KOHLER-SDMO also announced the planned expansion for the new line, which would eventually grow to encompass generators as large as 4200kVA (50Hz) and 4000kW (60Hz). Today, based on strong worldwide response to the initially-launched models – utilizing KOHLER’s own diesel engines ranging from 800kVA/800kW to 2800kVA/2500kW – KOHLER and KOHLER-SDMO are proud to officially expand the KD Series with the rollout of several new generators ranging up to 3500kVA/3250kW. The first wave of KD Series generators really resonated with key influencers in the data center, healthcare, telecommunications and water-treatment segments around the world. Now KOHLER can providing these users – and many others – with additional KOHLER-powered options that will deliver a similar mix of durability, fuel efficiency, and the many other benefits that have helped the KD Series to stand out in this competitive global category. The KD Series large diesel industrial generators have been selected by key decision makers in numerous industries worldwide, including the data center and healthcare segments. A few initial success stories are highlighted below. 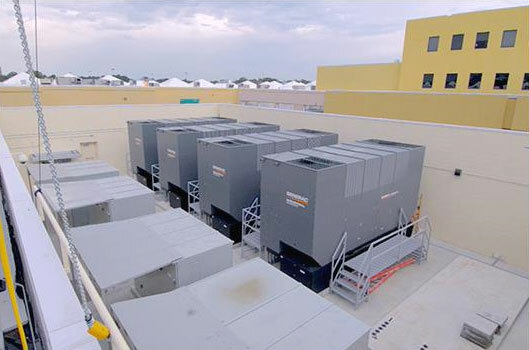 22 KD1600 generators were selected for a large data center in Ashburn, Virginia (USA). The complex will encompass six buildings with more than 245,000 square feet and 16 megawatts of critical IT load. 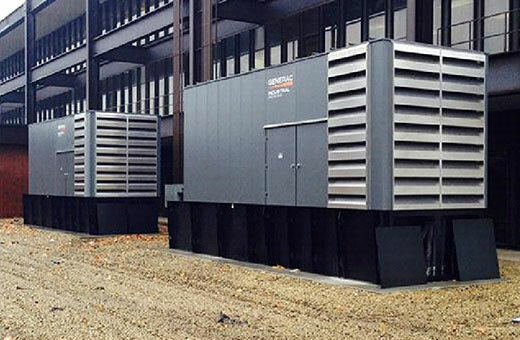 11 KD1800 generators were selected by a UK-based data center. The center is owned by a Japanese telecom company, which selected the KD Series based on the low emissions of the new line. Diesel generators are notoriously problematic during cold weather. Not only does diesel fuel become unstable in cold temperatures but when the engine block and heads are cold, they absorb the heat of the compression required to ignite diesel fuel. When generators used for standby or continuous power will be operated at 32°F (0°C) or below – especially for extended periods of time – operators must take precautions to ensure the generator will start reliably, get to the desired load quickly, and continue to run without incident and unnecessary stress and wear on the engine. Although fuel additives and other intermittent measures have long been common for generators, there is also a wide variety of purpose-built equipment that protects generators and their components against the cold. Some specialized add-ons keep the engine block warm; others keep coldsensitive equipment such as batteries and control boxes operating at the optimal temperature. This equipment is especially important where generators are being used in remote environments without any oversight by technicians or other company staff. This blog looks at some of the equipment that can help companies protect their generator investments and ensure reliable startup and operation. It also offers a few pointers on selecting a provider to source generators and engines that are properly equipped for extremely cold weather use. Battery warmers enclose generator batteries in a thermal wrap, keeping the battery at a constant 80°F (27°C), the optimal temperature for maximum cold-cranking amps. Battery warmers should have durable, fire-retardant covers that resist oils and acids. Thermostats, if available, can eliminate battery damage from possible overheating and subsequent acid spillage. Battery warmers prolong battery life and can boost cranking power by as much as 75 percent. Block heaters, which are installed on the coolant circuit, keep the engine’s coolant warm enough that the unit is able to start immediately and attain/maintain the required engine load. They are generally powered by an external power source rather than the generator engine itself. Hydronic coolant heaters gradually raise the temperature of the engine’s coolant, assuring even heating of the engine block. They enable generators to have warm starts, which reduce engine stress and wear, and reduce demand on the battery. Hydronic coolant heaters work independently of the engine, yet they tap into the fuel and power supplies of the engine. This approach eliminates the need for an external power or fuel source, which enables them to operate anywhere a generator could be located. For enclosed generators, cold weather operation brings another peril: condensation due to the differential between the external temperature and the temperature inside a heated enclosure. These heaters keep the control box at an even temperature, preventing the condensation that can damage sensitive electronic parts. Louvres (also called dampers or shutters) open and close based on a specific trigger, eliminating both overcooling and overheating by regulating the amount of ambient airflow through the generator engine’s radiator. Louvres can be thermostat activated, in which case a thermostat is installed inside the generator enclosure and an electronic switch triggers their operation when temperatures rise above a preset threshold. Electronic louvres such as these should always include electronic stall protection. Louvres can also be hydraulic, being driven directly by the temperature of the engine’s coolant. Coolant-driven louvres open gradually, allowing the engine to cool effectively but preventing a sudden influx of cold air that could cause the temperature inside the generator enclosure to drop precipitously. Hydraulic louvres are a preferred option in extremely cold climates because they do not contain sensitive electronic parts that are prone to seizing and failing in cold weather. Both types of louvres should also be able to prevent snow intrusion into the unit. Snow hoods are specialized coverings designed to prevent snow from accumulating inside the generator enclosure. Some manufacturers can relocate the generator’s air exhaust when they install snow hood kits, further preventing snow intrusion into the exhaust pipe without restricting air flow. When a generator is needed to supply power, there may not be much time for warm-up. A cold pack (winter pack) is a proven solution for ensuring generators can start without a long warm-up time and stay running dependably at temperatures ranging from 32°F to -50°F (0°C to -46°C). Depending on the situation and condition of the generator itself, this equipment can reduce the incidence of generator failure in cold conditions by 50 percent or more. For more information on industrial generators and sub-zero temperatures, contact South Shore Generator in Wareham, MA. IBHS recommends retaining an expert with extensive experience with all types of generators to assist with choosing the design and installation of the right generator; specific attention should be paid to the applications required to meet your business needs. Use local contractors, and ask for recommendations and references. Consult with several contractors in-person prior to making a decision. Make sure the chosen expert helps select the right size generator for your needs. This will include a determination of wattage needs (constant and start-up) and voltage ratings. You also should make sure that whatever generator is chosen is rated to provide power at a frequency of 60 hertz. Obtain all estimates in writing; including specifics about the work to be performed and the contractor’s license information. Ask for proof of insurance, for both the manufacturer of the generator and the contractor, as well as a written warranty from the manufacturer and a guarantee from the contractor. Include the manufacturer and the contractor on the suppliers/vendor forms in your Open for Business® or other business continuity plan. There may be local codes that require permits and inspections of plans and installation practices. Additionally, any generator transfer switch should be installed by a licensed electrician in order to comply with the National Electrical Code (NEC) as outlined in the National Fire Protection Association Publication No. 72. Some states also have safety regulations designed to prevent “back feed” (see below). Be sure the contractor walks you through the operations and maintenance processes of the generator. You should also be given all of the operational manuals provided by the manufacturer for reference. Most emergency generator failures are typically caused by poor testing and maintenance practices. Testing of permanently installed generators should include simulating a real power failure. This practice will test the transfer switch’s function and the generator at the same time. Please note: Only running the generator will not test the transfer switch’s function, which is a critical element to proper operation during power outage. Regularly scheduled testing and maintenance of emergency generator equipment is essential to ensure peak performance when you need it most. Maintenance contracts with third parties are a good way to make sure your system achieves prime performance. Generators — portable or permanently installed — require the use of fuel. Diesel fuel is more prone to oxidation than gasoline, and should never be stored for longer than 12 months. If there are plans to store fuel, a fuel stabilizer should be added. Many generators use fuel filters to prevent impurities from clogging the fuel lines. Fuel filters should be maintained in accordance with the equipment manufacturers’ recommendations to prevent this problem. Proper coolant level is critical to the operation of a generator. Check coolant levels prior to start up and monthly for maintenance. Like any engine, a generator uses oil. Use the right type of oil, maintain the proper oil level and change the oil when it appears dirty. Check that all air vents or louvers are in good condition, free of dirt and debris, and, if required, that they move freely during operation. Visually inspect the condition of all hoses, gaskets and gauges to ensure these are free of cracks and operational without leaks. At start up, check that operating pressures and temperatures are stable and within the manufacturers design parameters. Also, when the engine is running, check for unusual engine noise and knocking. If there are any unusual sounds, turn the generator off and have it inspected by a professional. Maintain a log of all test operations and record all readings. In the event of an impending storm that could result in power outages, test the generator system and top off all liquids at the conclusion of the test. Do not tamper with safety devices or attempt to repair the generator unless you are a qualified service person. The total electrical load on your generator should never exceed the manufacturer’s rating.